Swiftly I make my coffee and sandwiches for the day, put all gear in the car for an hours drive. 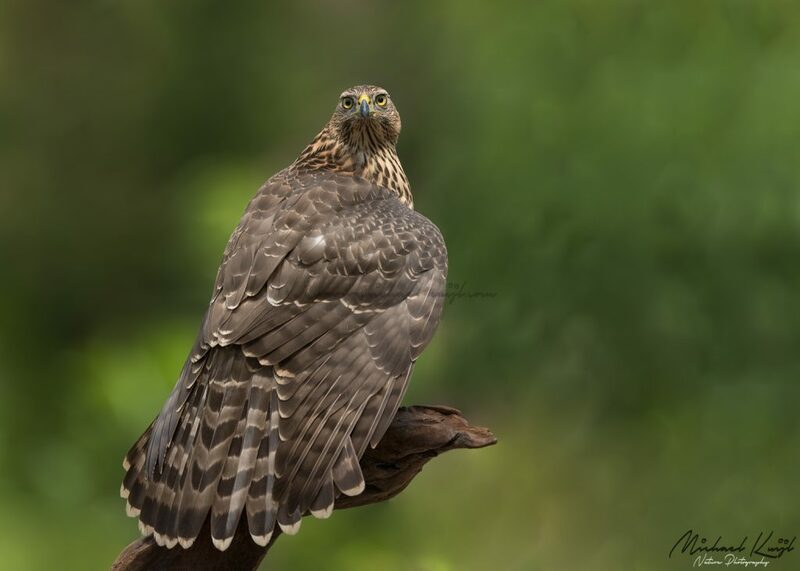 Today I will help a few photographer with the set-up and lingo of hide photography.The ultimate goal is to see the juvenile northern goshawk. 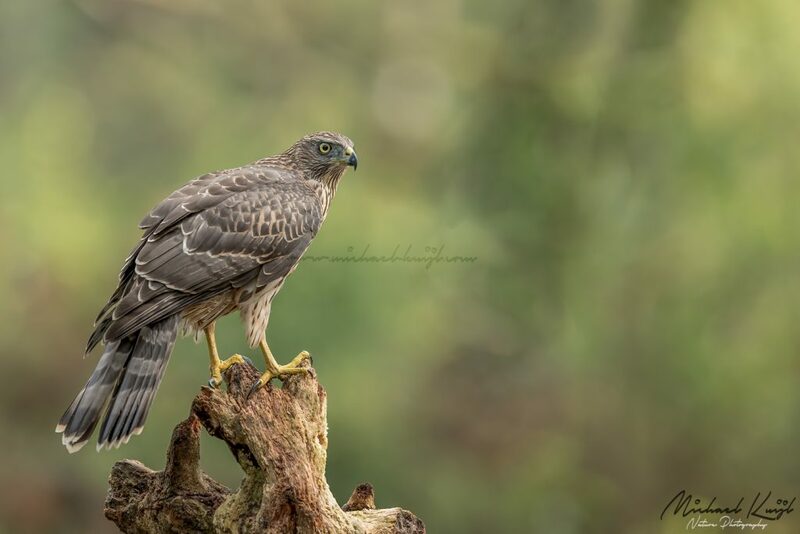 The ultimate goal is to see the juvenile goshawks and photograph them if possible. It's 5:15, at first light we walk into the dark forest towards the hide. On arrival we start building the perches, cleaning the reflection pond and set-up our gear. Right off the bat I set-up the D5/600 combi, that works great under low light conditions, superb AF system and is fast. As the day progressed another juvenile northern hawk landed, this time it's a biggy the female. She is going to be a beauty of a raptor, pffff awesome bird. 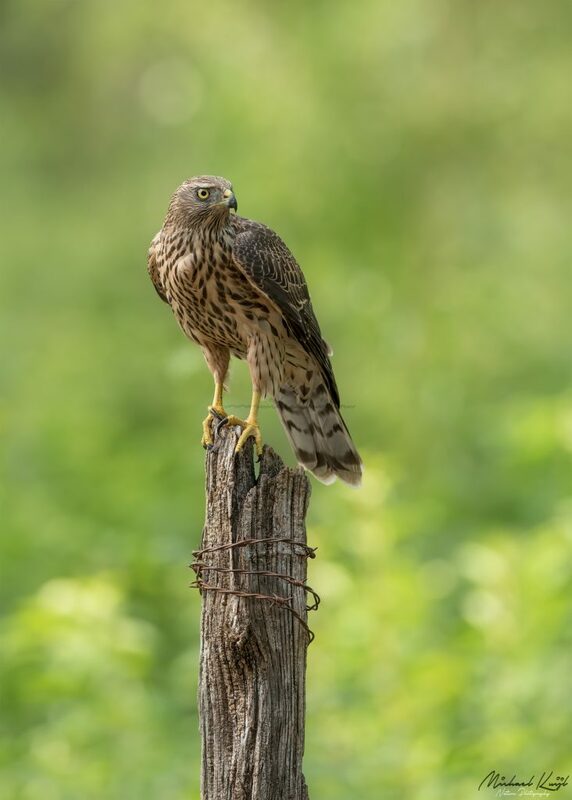 Just before we wanted to leave the hide, there was panic amongst the little birds normally indicating that a raptor is near.It didn't take long before the last juvenile of the nest showed itself. Another fine looking young male. It didn't take long before the last juvenile of the nest showed itself. Another fine looking young male northern goshawk. I just love the adrenaline rush when these raptors silently appear in front of the hide and the forest goes quiet for a moment. Every day a new day, tucked away deep in the forest. Any comments, suggestions, and ideas are always welcome just contact me.